One big goal is to make them more balanced, to shift the preponderance of power from franchisors to create a more equitable document. This doesn't mean weakening brand standards: the brand and its intellectual property must be protected, or the entire system will suffer. However, it does mean things like greater franchisee participation, collaboration, transparency, and clarity written into the agreements. The list of complaints about onerous or restrictive terms is well known: liquidated damages, personal guarantees, transfer rights, binding arbitration, default provisions, system changes, and more. The challenge is how to improve franchise agreements in a franchising world that's changed considerably since the days of handshakes and single-page agreements (see chart). In fact, many argue, an overly restrictive franchise agreement not only can drive sophisticated multi-unit operators to the competition, it also can attract the interest of state and federal regulators and officials, elected or appointed (see NLRB, page 84). Franchising is changing, and franchisors had better change along with it, or fall by the wayside. "With the sophistication of franchisees, the investment levels that are required today, and the competitiveness of the business marketplace today, it is an absolute strategic advantage for a franchisor to have a better franchise agreement than a competitor," says Aziz Hashim, general partner of NRD Partners, the investment fund he created last year to allow multi-unit franchisees to own or invest in franchise brands. "It is an immense benefit to a franchisee to sign up only with brands that have franchise agreements that I would term to be superior or reasonable," he says. "And for the franchisor, it's important to note that the franchise agreement is becoming a competitive issue. You can't have the most restrictive franchise agreement out there and expect to attract high-quality franchisees. They will not come." Hashim and Brian Schnell, an attorney with Faegre Baker Daniels, have been working together on a series of articles for the IFA on franchise agreements, franchisor-franchisee relations, and related topics. "One of the roles of the franchise agreement is to allow the franchisor to grow, protect, and evolve the brand and the brand's stakeholders," says Schnell. "If you have an agreement that's so airtight as to win every franchise dispute, I think you're going to get more and more franchisees, especially multi-unit franchisees, saying, 'I'm not going to sign this.'" Says Hashim, "We've been trying to educate franchisors to not think of the franchise agreement as their way to set the ground rules. It's really a competitive document." Balance is the keyword here, or perhaps more accurately imbalance, in addressing the problems caused by franchise agreements tipping steadily in favor of the franchisor in recent years. For Schnell, a key question is, How do you find the balance between the interests of the franchisor and its franchisees? In a franchise agreement, balance will mean different things to different people, depending on where their interests lie. "Balance doesn't mean mutual provisions. It doesn't mean a democracy. It doesn't mean that a franchisor in evaluating a system change is going to take a vote. That's not balance," says Schnell. "It is, in my perspective, finding that balance that allows the franchisor to do what it needs to do, and that allows the franchisee to do what it wants to do--within the context of being part of the brand and the system. And that's easier said than done." "It's never going to be 'equal' balance. It's always going to be skewed toward the franchisor because it is the franchisors' intellectual property--which has to be protected. There is no question about that," says Hashim. "On the other hand, in the past few years, there has been a tendency to create some very onerous language, to restrict the franchisee in ways that I think are almost anti-entrepreneurial," he adds. "It's like a lease--you sign a lease and the landlord's and the tenant's rights are never the same, but you can't have it so far shifted to one side that it doesn't make sense for the other party any more." If the franchise agreement is too one-sided, says Schnell, "It's likely not going to have enough balance for franchisees, in particular multi-unit franchisees, to get a return on their investment, to have the certainty that they're looking for so they know what this relationship and journey and business will look like over the next 5, 10, or more years." "While the franchise agreement is usually regarded as the legal contract, there is another aspect of the agreement called the 'psychological contract,' which can be just as important," says Greg Nathan, founder of the Franchise Relationships Institute. This, he says, refers to the implied expectations franchisees and franchisors have of each other. "Franchisor executives and multi-unit franchisees need to talk more to each other about their mutual expectations in an annual face-to-face catch-up--in particular around the higher-level support multi-unit franchisees expect as they grow, and the involvement and participation the franchisor expects from its multi-unit operators." "Over time, I have structured our agreement to the point that the content serves us well," says Don Fox, CEO of Firehouse of America. "But if I were to really think outside of the box, I would do a fundamental restructuring of the way franchise agreements are constructed. I would change the architecture of the document so that it clearly delineates the franchisee's obligations and the franchisor's obligations (actually present them in separate sections of the agreements, as opposed to intermingling the two parties' obligations). I think this would lead to a much clearer and concise discussion and understanding of the respective roles and responsibilities." "I think that it's not really what specific items need to change, but an attitudinal transformation in how franchise agreements treat franchisees," says Keith Miller, a multi-unit Subway franchisee in Grass Valley and Auburn, Calif., and chair of the Coalition of Franchisee Associations. Much of today's imbalance, he says, has been created by contracts that have grown from 5 to 50 pages, defining what the franchisee must do or can't do, while continuing to diminish any responsibility or liability for the franchisor. "When you see contracts attempting to void the implied covenant of good faith, you really see that this imbalance has gone too far. Unless the imbalance that Aziz mentions is changed, and the pendulum swings back to a more balanced state, the industry is at risk long term. If Aziz and his investors are successful with their fund, that could help drive--and lead the way--to the change that will strengthen franchising in the long term." Rocco Fiorentino has been a multi-unit franchisee and a franchisor. Today, as CEO of Benetrends, he reviews franchise agreements as part of his company's financing due diligence. "I've negotiated agreements from both sides of the fence, and always try to do the right thing. I'm not a big fan of changing agreements, I'm a bigger fan of franchisors putting together franchise agreements that are fair and equitable to the brand, and don't have to be negotiated because you've taken into consideration certain things," he says. "If a franchisee asks me to make a change, if it's a reasonable change I should make it a change for everyone, so they're consistent. If it's not a reasonable change, I should say, 'I'm sorry my franchise agreement doesn't work for you,' and move on. But you shouldn't have different deals with different people--that is not good management for a brand." It's all about the "how"
"You can have two franchise systems with exactly the same agreement, and one system can have all sorts of relationship issues, and in the other system the relationships can be at the top of the game--the exact same agreement," says Schnell. "And that's why it's not just about the agreement. That's why it is how the franchisor and the franchisee relate to one other. What's the culture of the system? 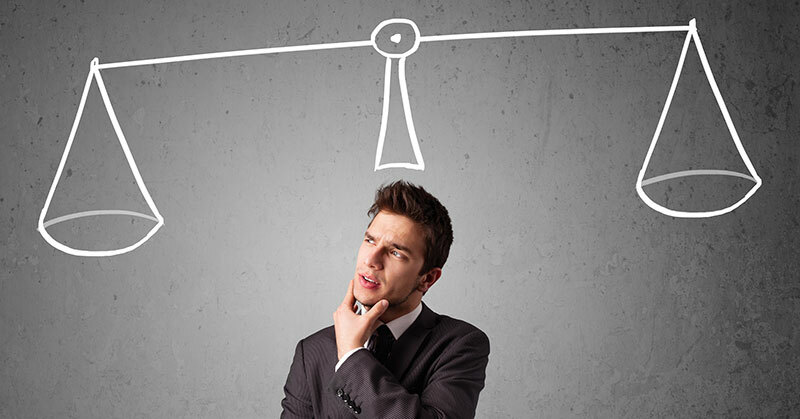 What's the relationship between the franchisor and the franchisees? A big part of this is beyond the franchise agreement." So how should the franchise agreement play a role in the culture of the franchise system and how franchisees and their franchisors relate to one another? In Schnell's view, the franchise agreement plays a big role in the ongoing relationship, but not the leading role. "If franchisors and franchisees are trying to continue to improve the business model and the system, and do what they need to do to remain competitive in the marketplace, the linchpin can't be, 'What does the franchise agreement say?' The linchpin has to be, 'What do we need to do to stay ahead of the competition, respond to the ever-changing demands of customers, and how do we do that collaboratively?' Because if it's not that way and the franchisor is saying, 'Well, I'll tell you what and when we're going to do it,' that is going to be a much tougher way to get business done." "Franchisees need to understand that the agreement matters," says Hashim. "It may not matter today, because the management team you're meeting with may be very nice and you may trust them and they may have a fantastic reputation. But you're entering into a 20-year marriage with this company, and the management team is going to change hands many times." Problems can arise down the road if subsequent management teams interpret the franchise agreement differently, says Hashim. "They'll say, 'This is what you signed. It doesn't matter what was told to you before. This is what you signed and we're going to enforce this franchise agreement to the letter.'" He says that's where a lot of the disconnect is happening with franchise relations today. "Franchisees are told, 'Don't worry about the franchise agreement, we don't really enforce that provision,'" he says. "Really, then why is this restrictive provision in there if they never enforce it? And even if they don't enforce it, who's to say that their successor will not enforce it?" Closing locations before the end of the franchise term and being liable for royalties for the balance of the agreement--something no one seems to like, yet it remains part of many franchise agreements. "In fairness, I will say the franchisor companies I have partnered with have never enforced these clauses, but they should be removed or revised in the agreements." Not opening a unit by the dates specified in a multi-unit or territory deal. "I understand they have the right to seek someone else to develop a market if the franchisee does not meet development timelines and risks losing pre-paid territory fees. But to charge you royalties for a location not open I would classify as cruel and unusual punishment. For most franchisees the reasons they fall behind are not securing acceptable sites and underperformance of existing locations." "Often, franchise agreements lack clarity," says Schnell. "We lawyers tend to write in legalese, and often legalese can be interpreted in different ways. Clarity is important." For example, if a franchisee is not playing by the rules, he says, the franchise agreement should allow the franchisor to deal with that in a way that protects the brand. But agreements that lack precise language can be expensive. "If the franchise agreement is not clear, that requires the franchisor to spend hundreds of thousands of dollars in litigation or in disputes with the franchisee. That doesn't benefit anybody," he says. "Franchisees and franchisors shouldn't want a court or an arbitrator to be second-guessing every decision that's made. That's not what this is all about." "Although I'm not a licensed attorney and don't practice law, I certainly have a strong feeling about default provisions," says Fiorentino. Too frequently, he says, attorneys advise their franchisor clients to settle disputes through binding arbitration. He doesn't like that. 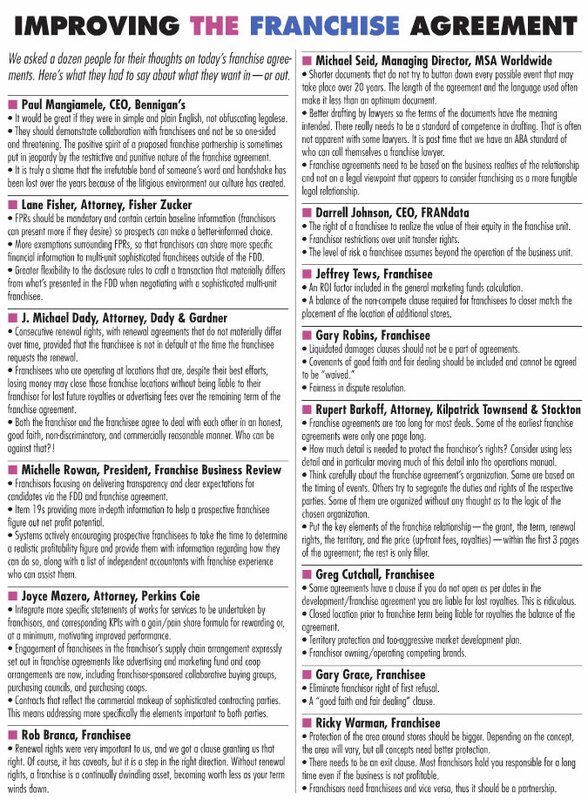 "Binding arbitration is probably the worst thing any franchisor can agree to. What I've done as a franchisor was change all my franchise agreements to allow us to settle disputes first and foremost by nonbinding mediation, and then if we couldn't settle we'd go to pure litigation--with rules." Fiorentino says the reason he likes nonbinding mediation is simple: it gets both parties to the table. "I always felt that as a franchisor, the last thing I wanted to do was win a lawsuit; the first thing I wanted to do was fix a problem." He says you don't really know about a problem in the system until you get to nonbinding mediation. "So often, a CEO of a franchise brand may not even be aware of a franchisee issue until it gets to litigation and they have to sign a paper from their lawyer who says, 'We've got a franchisee we've put it default and we're going to arbitration.'" For him, that's the last resort. Instead, says this former franchisor, "I view franchisees as partners. If somebody invests money into my brand and they open a location and are a good operator and they follow the system, if the location doesn't work, and no matter what we or they do can get it to breakeven or profitability, it's time to close that location and move on, or relocate it." Fiorentino prefers a clause that allows the relocation of an underperforming unit--"and certainly not hold anyone, especially a partner that invested in your brands, hostage for what they deem as future royalties. That's something that really gets me. I've never in my career as a franchisor ever gone after anyone for future royalties." However, he adds, if someone left his system and started their own, similar concept, "I'd absolutely go after them--for everything, not just future royalties. Other than that, I wouldn't. If I had a good franchisee that says 'This location doesn't work, I need to relocate it,' or they just ran out of money, I'd certainly wish them the best and thank them for the college try." As his investment fund gears up to acquire franchise brands, Hashim is determined to have franchise agreements he'd be willing to sign himself, based on his 20 years of franchising with many different restaurant brands. "We're going to make sure that we incorporate into our franchise agreements the sort of 'best practices' of franchise agreements to the extent that they can be as reciprocal as possible. 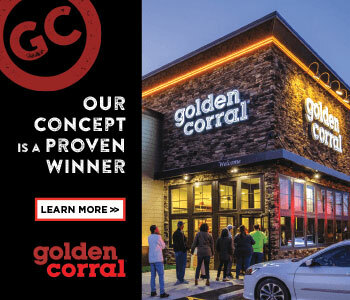 We want our franchisees to know that they have certain rights, that they're going to have certain protections, and they can go forth with this investment knowing that there's a brand there that cares about their investment and is not there to minimize or damage their equity in the investment," he says. "Our franchise agreements are not going to be soft on standards, on the responsibilities of being a franchisee for the brand, but there will be an attempt made to have some sort of balance in it." That's the direction franchise agreements are moving today, he says, and franchisors are getting the message. "They are beginning to understand that if their franchise agreements are so restrictive, so one-sided, so non-mutual or non-reciprocal, good franchisees will pass over their brand and go somewhere else." And, as his fund acquires brands, perhaps those good franchisees will come to him. Here's what they had to say about what they want in--or out.